Sisters are special. Sisters are for sharing laughter and wiping tears. Its said because you have a sister youll always have a friend. Anyone with a sister knows the special bond that is created over time. Whether its a brother-sister relationship or a sister-sister one, there is really nothing that compares to having a sister. 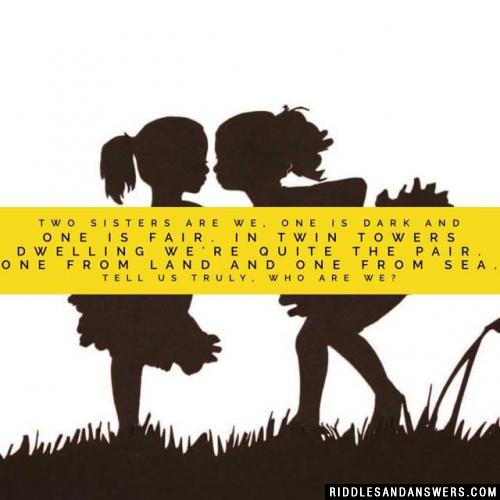 Thats why we have created one of the best collections of sister riddles and answers on the web. 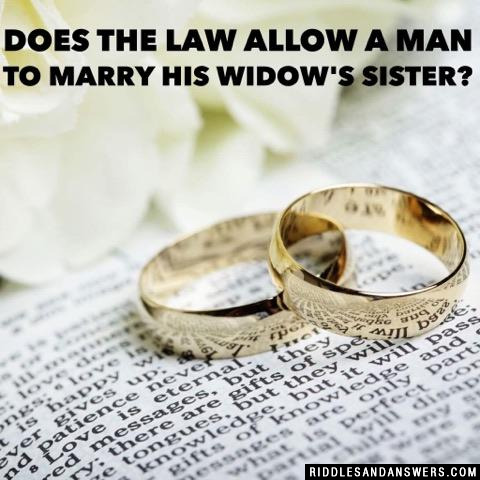 Here you will find all types of sister riddles from math brain teasers to silly sister riddles and everything in between. 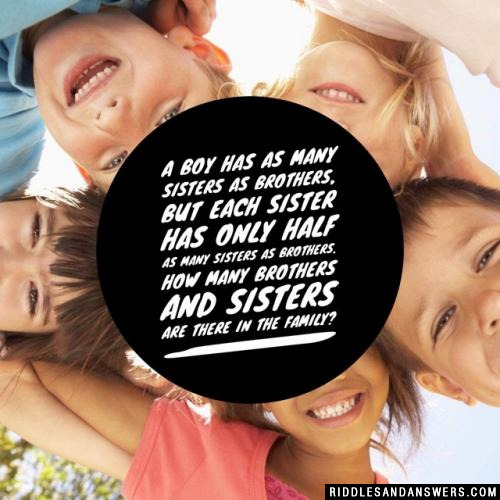 Try solving our riddles with your sister or family and make a game of it! See which one of you is the best at solving these! A little sibling rivalry never hurt! 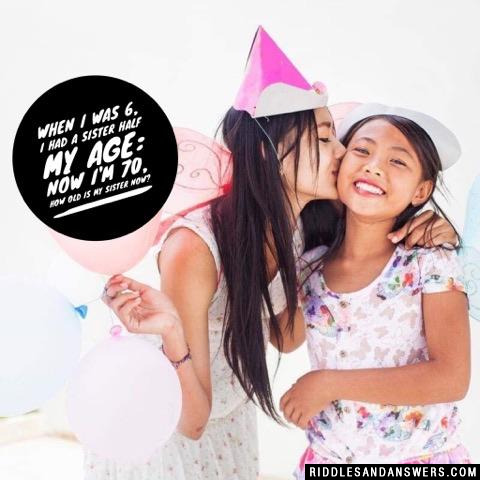 Whether you have a sister or a best friend that is the closest thing you could ever have to a sister, you are sure to enjoy our sister riddles here! Two sisters are we, one is dark and one is fair. In twin towers dwelling we're quite the pair. One from land and one from sea. Tell us truly, who are we? Two twin sisters are cleaning their shed. When they are done one is clean and the other is dirty. The clean one takes a shower, and the dirty one stays dirty. Why? The clean sister saw the dirty sister and thought she was dirty, and the dirty sister saw the clean sister and thought that she was clean. So she did nothing! 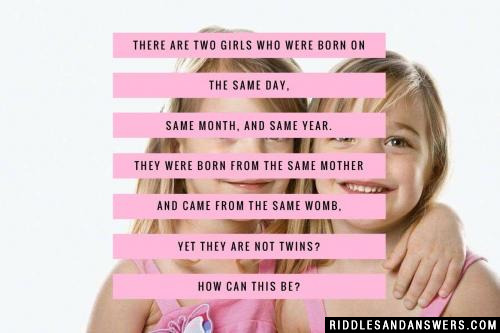 Two girls are sisters. They were born in the same year, in the same month, and on the same day, and yet they are not twins. How is that possible? They have a brother as well. They are triplets. You give someone a dollar. You are this person's brother, but the person is not your brother. How can that be? The defendant testified, "The attorney is my brother," but the attorney took the stand and denied having a brother under oath. Who is lying? Neither one of them lied. The defendant was the attorneys sister. Can you come up with a cool, funny or clever Sister Riddles of your own? Post it below (without the answer) to see if you can stump our users.